Inspired by the lush Australian rain forest, this ring is sure to stun. 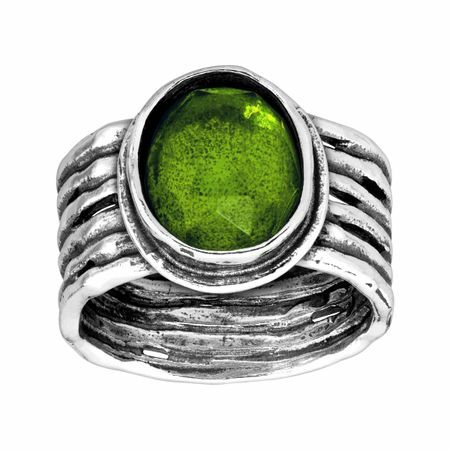 A green quartz is set in the center of a wide ribbed band, crafted in sterling silver. Ring face measures 1/2 by 9/16 inches. Piece comes with a ".925" sterling silver stamp as a symbol of guaranteed product quality.